Each day in the United States, 6,000 people turn 65 years of age. One in five Americans will be older than age 65 by the year 2030 (American Association of Retired Persons, 2003). This increase of U.S. seniors translates into a staggering increase of people looking for assistance with daily living activities. Ask most seniors where they would prefer to age, and the majority will say they want to stay in their own home. The preference to age at home along with an increasing senior population has led to incredible growth in the in-home care service industry. In-home care is a care solution that can help seniors fulfill on the preference to stay in their home, but not all in-home care is the same. There are a number of in-home care options available, but before you select an individual or an organization to provide care for a loved one, make sure you research providers and ask the right questions. 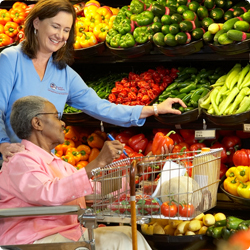 Homemaking and Companionship Care – This includes meal preparation, running errands, incidental transportation, light housekeeping, companionship, medication reminders, and a variety of other services. Personal Care – Personal care includes bathing, grooming and hygiene care, toileting and incontinence care, feeding and special diet or meal preparation and other services. Specialized Services – 24-hour emergency response and, oftentimes, care for clients with Alzheimer’s and other dementia issues. There are three fundamental business structures of providers who offer in-home care for seniors and other adults: independents, registries, and employment based agencies, which include local/regional/national corporations or franchise organizations. Each is substantially different in how they staff and charge for services as well as who assumes the role of employer and the associated responsibilities of the employer. Independents are as the name suggests; an individual, or individuals, not part of a larger organizational structure providing in-home care. An independent may be someone you know personally or from the community, or it may be someone who advertises in-home services in the classified section of the newspaper. No matter the source of the independent caregiver, there are implications surrounding hiring an independent that should be considered before securing the relationship. The biggest “plus” in hiring an independent is the hourly rate. Generally, you pay the caregiver less than what you will pay a registry or an employment based agency. However, a lower hourly rate does not always translate into the most cost efficient solution. If you secure an independent to provide in-home care, you are now the employer. That means you are responsible for all employment taxes and deductions for your employee, the caregiver. You also become responsible for securing the appropriate insurance coverage such as Workers’ Compensation in case the caregiver is injured while providing care in the home and general liability insurance in the event the caregiver causes property damage. Most homeowners’ policies do not cover the expenses associated with an injury or damages sustained while a caregiver is in your employ. Additionally, while not required it is important for your own safety and security that you procure appropriate background checks and validation that the candidate is a capable, appropriately trained, and quality care provider. Beyond the finances, is there a backup caregiver in the event the primary caregiver is ill or unable to care for the individual? Is the individual trained or does he/she have access to training, to accommodate the changing care needs of a client? If care is provided in a licensure state, is the caregiver licensed or certified to provide the care services? On the surface, a lower hourly rate can appear to be the sensible decision, but as you begin to understand what an independent caregiver can or cannot provide, a clear message begins to emerge. A lower rate does not always translate to a more cost efficient, or highest quality, care solution. Registries are organizations that build and manage databases of caregivers, but do not actually employ the caregivers. The caregivers often act as 1099-contract labor, but the employment arrangements can vary. If you opt to hire a caregiver from a registry, one of the first questions you should pose is who assumes the role of employer and who is responsible for employment tax withholdings and the appropriate insurance coverage? Some registries do provide Workers’ Compensation coverage, but make sure you understand the extent of the coverage to ensure the caregiver is actually covered while working for you. In-home care for seniors and other adults is gaining in momentum as the preferred care solution. Who wouldn’t prefer to stay in the privacy of their own home, surrounded by cherished belongings and memories, and maintaining a level of independence? Today, there are more care options available to seniors and their families, and in-home care can be that solution, but families need to ask the right questions. If you are seeking a care solution for yourself or someone you love, take control of the situation and leverage the information that is available to you. Ask good questions and stay involved! For in-depth information about Comfort Keepers®, you may call our local office at (844) 257-1377. 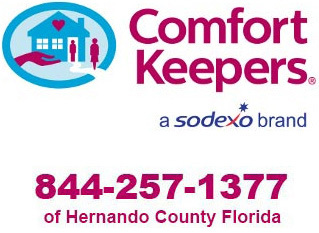 Comfort Keepers #560 is a locally owned and operated in-home care company that is registered with the Florida Agency for Healthcare Administration (AHCA) as a Home Health Agency. Our license number is HH299992888.